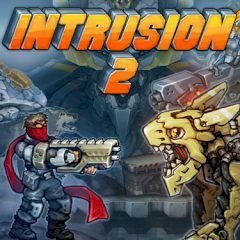 'Intrusion 2' is an action platformer. Set in sci-fi environment on reserve planet occupied by hostile military corporation conducting forbidden weapon research. 'Intrusion 2' is inspired by classic 16bit era sidescrollers and focuses on classic fast paced action combined with modern physics and animation.